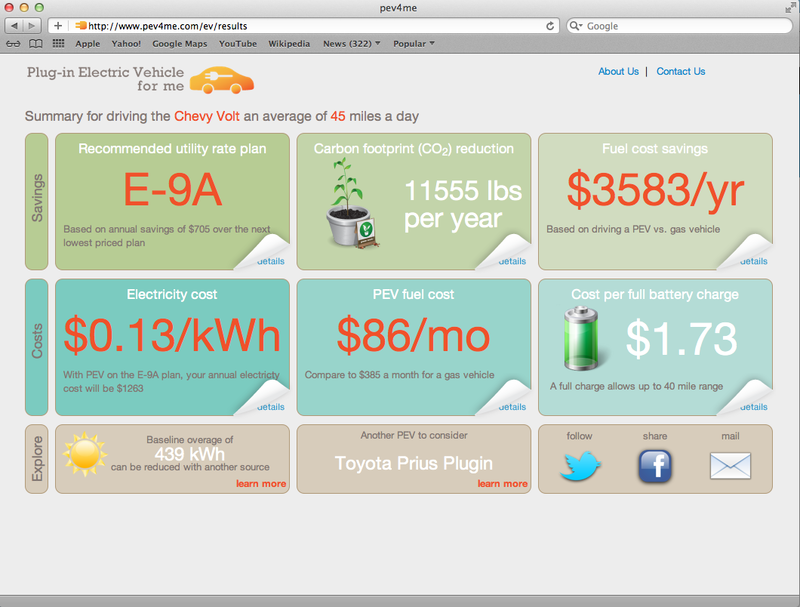 Calculate cost savings for driving electric using green button! Are you a SDG&E or PG&E customer? Interested in driving an electric car to save money and the environment? Try the new Plug-in Electric Vehicle (PEV) calculator to find out how much electricity will cost to charge your car and how much money you'll save on gas!